Public footpaths and trespassing were recurrent issues at the Cornish Mutual health and safety events with farmers suggesting they needed better clarification on what they could - and could not - do on their own land. Farmers said they needed better clarification about the laws of public trespass. Farmers have raised concerns about how they should manage walkers on their land through trespass and public rights of way. It came after Cornish Mutual, a south-west rural insurance company covering Cornwall, Devon, Dorset and Somerset, held a series of events to discuss on-farm health and safety issues to ultimately reduce the number of deaths and serious injuries in agriculture across the region. The events found the most critical issue surrounded what farmers were and were not allowed to do on their own land. Cornish Mutual member services advisor Arthur Denton said: “It was clear to us from very early on that members and non-members needed clarification on the law surrounding the rights of the land owner when it comes to the public. Many farmers and landowners should soon be paying reduced fees as a result of changes to footpath regulations as of December 1. The changes mean landowners no longer have to pay ’cost per notice’ fees when protecting themselves against the creation of a new public right of way, potentially saving them hundreds of pounds. Strutt and Parker land agent Charles Wadsley said: “It enables landowners to protect themselves against claims for public rights of way made solely on use. 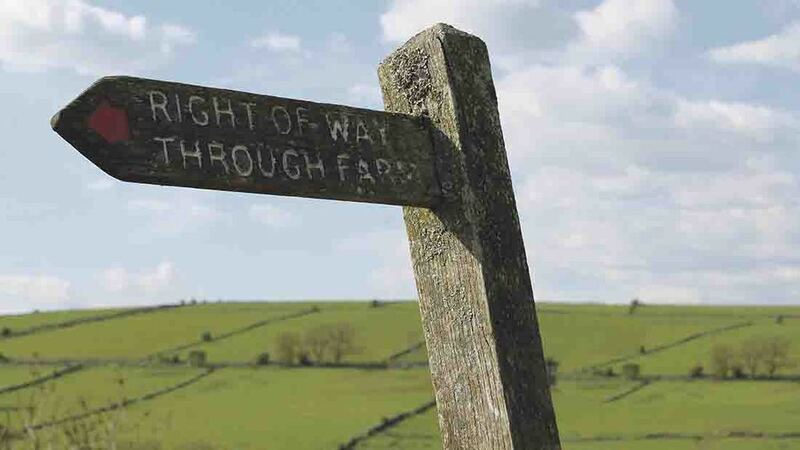 "If no public rights of way exist it is still worthwhile submitting an application to protect against any rights of way being made in the future. However, up until now, the costs and the public statement of intent proved off-putting to many. How do the new health and safety laws affect you? Is your land at risk from a right of way application? Q: What if someone strays from the path on a Right of Way? A: Once a person strays from the Right of Way they usually become a trespasser and you normally have the right to ask them to return to the Right of Way, or to leave your land. Also, a Right of Way is not a Right to Stay! Q: Can I erect a gate to stop people from entering my land? A: Yes. So long as you are not blocking or hindering the entrance to a Public Right of Way and subject to any local planning permissions that you may require. Q: What if someone falls down a cattle grid? Q: How can we protect people who are careless? A: The answer to this question is that you can’t completely! You must, however, ensure that your land is made as free as possible from all obvious hazards and then any risk (that is willingly accepted by any person) that the person takes which causes them damage or injury maybe at their own risk. Q: Can the Local Authority just erect stiles on my land? A: If the stile is erected on a Right of Way the local authority can. The Right of Way remains part of the “Queens Highway”. The information given is correct at the time of writing. Guidelines and laws can and do change. Cornish Mutual recommend that anyone looking to find out more on any of these issues should ask an expert, such as their insurer, or read more on the gov website.